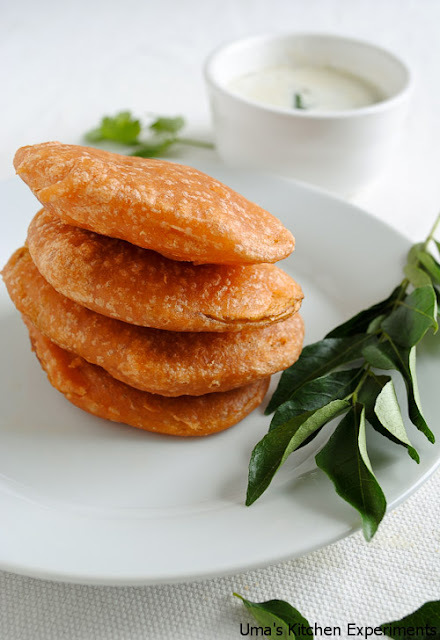 'Bajji' is one of the popular snacks in South India. 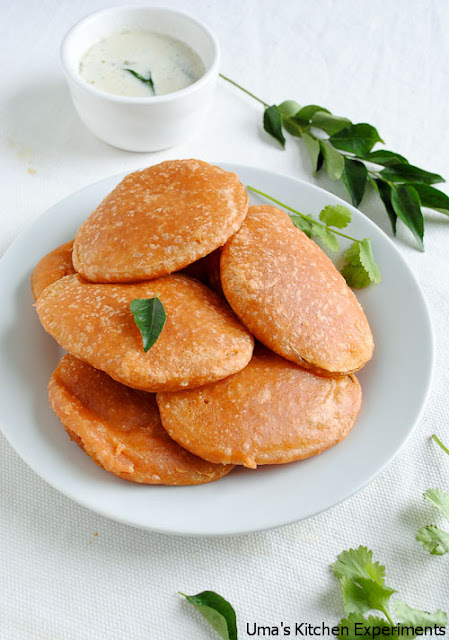 Whenever there is a festival or function or even a get together, bajji is a common dish that one would come across. 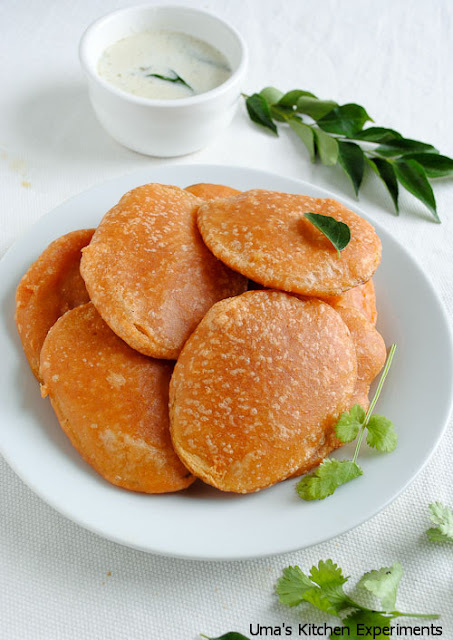 Very popular in the beaches of Singara Chennai, one would never miss the shops selling these bajji's. One can notice a variety of bajji's such as Plantain, Potato, Cauliflower, Onion and Pappad Bajji's. The below method describes the preparation of Potato Bajji. Instead of potato you can use either Plantain or Onion or Cauliflower or Pappad to prepare different varieties. Though they taste different the preparation steps are one and the same. 1) Take a mixing bowl and mix all the ingredients except oil and potato. 2) Add water slowly and prepare a batter. 3) The batter should not be very thick and it should not be watery. It should be in a medium thick. 4) Heat oil in a frying pan. 5) When the oil is hot enough, dip the potato into the batter and fry it in oil. 6) Turn the potato to the other side and fry till both the sides become golden brown. 7) Now take it away from the oil and put in a bowl. Covering the bowl with tissue paper helps to remove the excess oil from the bajji. 8) Potato bajji is ready. Serve it with a this chutney or a sauce.